Make the most of your vertical line. Good value for money. For us this means high components quality, low energy consumption, simple maintenance, flexibility and ease of use of the plant. Productivity is no more a theoretical construct and companies need to be ready to fulfill the requirements of their customers. More and more often, production line batches are fragmented with a high number of change colors that causes holes in production and dead times. We have introduced a coating booth with a total self-cleaning system which reduces the cleaning time of the painting booth from 15 to 5 minutes! 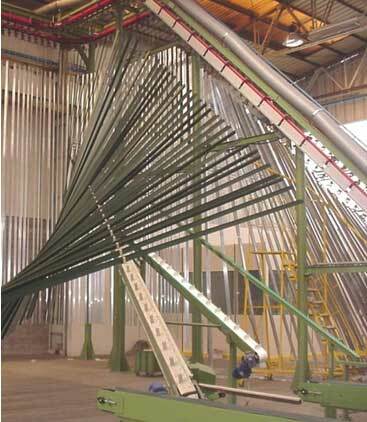 Vertical powder coating / painting booth is composed of sliding belts which are cleaned continuously and automatically. During the self-cleaning, also overspray will be recovered. -	to cut off the cost of purchasing equipment. If time for change color booth is reduced, vertical lines would not need two booths with two conveyors anymore. All equipment and product quality conforming to Qualicoat and other international standards. 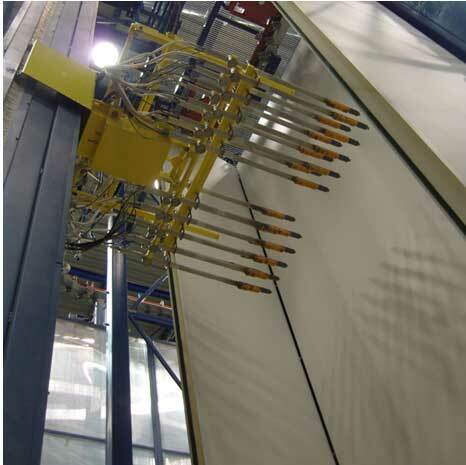 Our philosophy can be clearly understood considering the complete plant: pretreatment tunnel, ovens, booth and each of the components are designed with exceptional modularity and standardization. For example, pretreatment tunnel can be easily adapted to costumers needs only by changing some of the components length. -	to reduce the space requirement of complete equipment. Thinking ahead and paying attention to the whole layout, it is possible to set the coating line in 600 square meters with a maximum high of 10/11 meters from floor. -	to reduce stock. Flexible production means no longer need of stocking up the warehouse, square meters saving and less workers for material handling. -	intensive exploitation (24 hours per day). Less workers means less cost for night shifts: our vertical lines run with 4/5 people. -	new generation ovens with automatic sliding doors instead of traditional air curtains: profiles do not collide each other because of air. -	pretreatment tunnel with cascade technology instead of traditional spray system: no nozzles to clean periodically, more strong chemical attack, pump with lower prevalence, smaller electric motors. Process standardization and modular components ensure customized vertical lines with the best price/quality ratio, fast assembly and high quality.